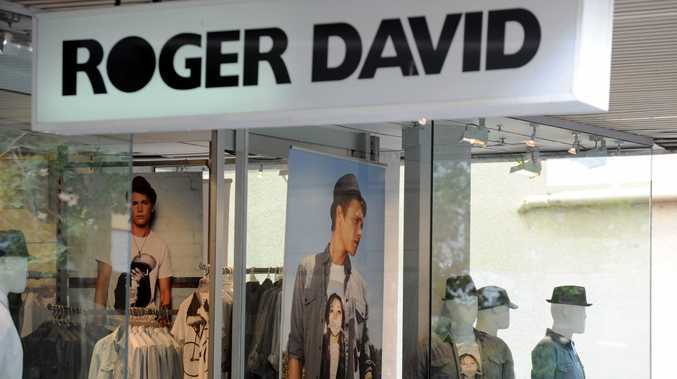 Menswear chain Roger David faces closure unless a buyer is found in the coming days. DISCOUNTS at embattled clothing chain Roger David have been ramped up in an effort to secure a buyer before a looming closure deadline. Administrators for the collapsed menswear chain have set a deadline of November 14 to secure a buyer for the chain, or begin closing all stores after 76 years in business. With 57 stores around the country, including 17 in Queensland, across three brands, about 500 full-time, part-time and casual employees face losing their jobs unless a buyer is secured in the coming days. Discounts have increased to 60 per cent across all sites, with sales booming since the company was placed into voluntary administration last month and discounting began. Administrator, KordaMentha Restructuring's Craig Shepard, said there has been some interest in the retail chain, "but there is no certainty of a sale". "Potential buyers have recognised the strength of the brand and customer loyalty, but it has to make commercial sense," he said. "Sales have been phenomenal since the first day of administration and we have fast-tracked all stock from the warehouses to the stores to keep up with demand." Mr Shepard said if no buyer was found by the November 14 deadline closures would begin, with all sites expected to be shut by Christmas. On October 18 it was announced Roger David was another high-profile victim of the notoriously tough retail market, with the company entering voluntary administration.